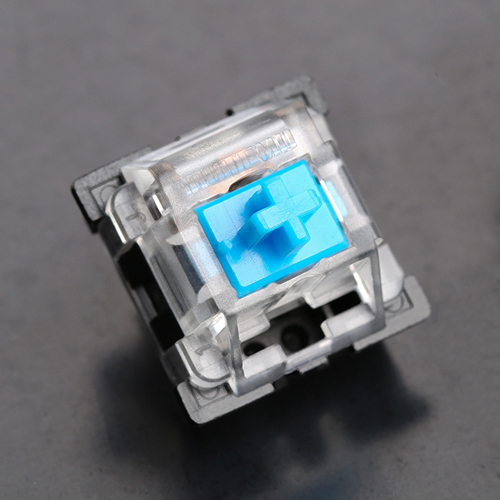 Outemu Blue switches imitate Cherry MX Blue switches. That is particularly evident in their force curve, which is the second closest match we have found in a clone to date. Switch rattle, and overall switch performance, is essentially the same as well. Keyboards using Outemu Blue switches tend to be affordable, which makes them a compelling option for typists who want to try Cherry-style clicky switches.